Now that Sam Patten has been caught acting as a foreign agent, making illegal lobbying efforts on behalf of the Government of Ukraine and, according to CNN, pro-Russian Oligarchs, we can start looking deeper into what is really going on in Washington—and put together the pieces in the bigger puzzle revealed by Federal Court Documents. 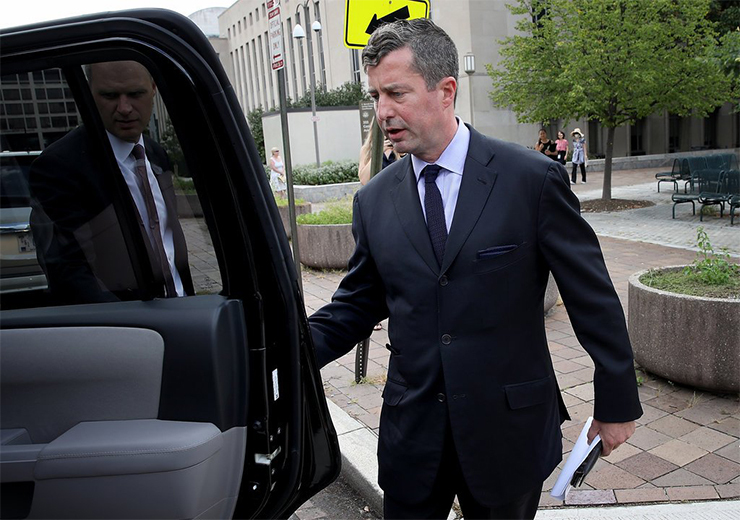 Patten recently pleaded guilty before a federal judge to being an unregistered foreign agent, and to funneling foreign money, from Ukraine and other offshore sources, into the Trump political campaign. He is also reported to have worked with Robert Mercer’s notorious Cambridge Analytica on microtargeting operations. More specifically, Patten’s work involved lobbying US politicians on behalf of Russian and Ukrainian citizens. His main targets were members of Congress and their staff, and specifically Senators sitting on the Foreign Relations Committee and Representatives sitting on the House Committee on Foreign Relations. Such unregistered and likely illegal activities were undertaken for the purpose of promoting foreign interests and influencing US policy towards Ukraine. 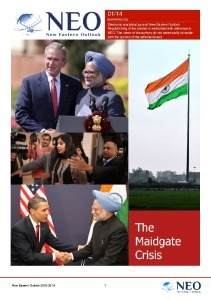 Patten and his team also made use of the MSM to plant articles (e.g., “op-eds”) in the press. Patten was fully aware at the time he undertook all these actions that the Foreign Agents Registration Act required him to register in order to engage legally in such US-based activities on behalf of a foreign power. He had previously performed such acts legally, for Georgia and other client countries, and thus knew that in this instance he was violating the relevant US laws, (The Foreign Agent Registration Act, pursuant to Title 33, Section 612 and 618(a)(1)). The case sketched out by prosecutors encompassed Mr. Patten, a respected Republican operative and consultant whose family was once part of Washington’s social elite; money transfers from a Cypriot bank; and a Russian national who had also worked for Paul Manafort, Mr. Trump’s former campaign manager, and been accused of maintaining ties to Russian intelligence. All this presents a dark picture. But when you have encountered Patten before, and seen his track record, it is hardly surprising. This is a man with deep connections in the Republic of Georgia from the days when it was the regional CIA dirty tricks base, as it still largely is until everything can be transferred to Poroshenko’s Ukraine. It used to be said of Russian emigres in the West that if they weren’t a prince when they left Russia, they were by the time they got to their new country. Patten is yet another example of what the relationship between the US and tiny Georgia does: if he wasn’t a crook before he went there, he became one as soon as he arrived, and had thus earned his ticket to more lucrative official crimes later on. Patton has no shame. He has worked for both Mikheil Saakashvili and Bidzina Ivanishvili, who replaced Saakashvili, claiming to be his polar opposite, following the 2012 election. Ivanishvili may not be the murderous crook Saakashvili is, but he was also parachuted into his job by the US to clean up the embarrassment Saakashvili had become – and therefore protect US interests, rather than those of Georgia. Patten is perfectly happy working both sides of the fence, and based on his recent conviction, many sides of many fences. It is this, rather than contrition, which has persuaded him to agree to co-operate with Robert Mueller’s investigation into Donald Trump’s presidential campaign. He is hoping to turn star witness, and “somehow” get more reward from doing that than he is from helping his previous donors. He is still a spy for hire, he has merely changed employer—even now. But who exactly is that employer? Robert Mueller is making a lot of capital out of allegedly being an impartial Special Prosecutor, whose purpose is to get at the truth. But he is in the same position as healthcare professionals who murder their patients, but get away with it for a long time because everyone HAS to trust a doctor. We already know much about Robert Mueller, from people with those same Georgian connections, and from the staff of Veterans Today—a US based military/veterans affairs online magazine. He is in thick with the deep state, or whatever you want to call it. As Trump has said, his investigation is not so much about Trump and his dirty deeds, or any alleged connections to Russian or other offshore money (Ukrainian and Georgian, strangely enough) but with maintaining the status quo. Most of the complaints President Trump has made about Mueller’s “sprawling” investigation have been on target and completely valid. Trump may well be a terrible president, who should be impeached and convicted for war crimes in Yemen and Syria at the very least, but Mueller’s investigation has been an illegitimate “witch hunt” from the get go. Trump is right: the deep state is trying to trap him, and he has much more important things to think about and work on. He is also right in saying that the top level of the FBI is full of crooks. They include the likes of Bryan Paarmann, the guy sent to – yes- Georgia, to write a report which said that the former Prime Minister had been killed by fumes from a heater rather than by operatives working for Saakashvili, despite his many visible injuries. Despite Trump’s many crimes, he is being hounded out of office by what he rightly claims is “a sad chapter for law enforcement,” and “a rigged system”. So, has Patten really changed sides by acting as the fall guy, and pleading guilty rather than taking the opportunity to defend himself? Mueller’s agenda is not to restore justice but to secure the outcome the Deep State wants, before Justice, which would get Trump anyway, can triumph. Then the Deep State can continue to operate above justice, in the same way you wouldn’t dare to give Bob Woodward and Carl Bernstein a parking ticket. If Mueller hadn’t been appointed to do this job, Patten would have been one of the best qualified people to do it himself, given his track record and very similar connections. In Georgia Patten did the same work he has since done for Cambridge Analytica and the CIA. He would write and plant articles in support of one candidate or another, and present these as the opinion of the Georgian people, most of whom couldn’t even read the articles, let alone agree with them. One of his connections in Georgia was with Robert Mueller himself. Before he became a household name in the Trump investigation, this former FBI director was involved in secret meetings in Georgia dating back to 2008. He was also involved in the cover-up of weapons deals with the Saakashvili regime and John McCain, the illegal re-export of weapons and even drug deals. Most of this was done behind closed doors, albeit known, and has never been covered by the Western Press. Patten worked for both sides in the Georgian elections, in the hope the US would still be in charge whether the replacement scheme worked or not. On April 30, 2008, US Ambassador Bass met with political consultants Jeremy Rosner and Sam Patten, of Greenberg Associates, the American political consulting company hired by the ruling National Movement party. Rosner said that the UNM has close ties with the Republican Party in the US via Sam Patten. However another of Patten’s cohorts in Georgia was Frank Wisner, who worked for international law firm Patton Boggs. Bidzina Ivanishvili, parachuted in to replace Saakashvili, hired Patton Boggs to lobby for him in the United States. Patten also spent his time promoting future leaders in waiting in case Ivanishvili messed up in turn. One of these was Temur Yakobishvili. This man can also have his cake and eat it, as he has government experience from the Saakashvili years but is also a Jew, and therefore an outsider – in a country which has historically treated Jews much better than most others have, and would attract great international sympathy by “electing” a Jewish leader. It is not hard to see which audience, and whose guilt complexes, this article is courting. If certain feminists can get away with saying “all men are rapists”, it is not hard to make the case that anyone who doesn’t want Yakobishvili back, as the leader of a new, “cleansed” United National Movement, UNM, is a Nazi. Whose Enemy Are You Anyway? It is interesting that some years ago the head of National Democratic Institute NDI, in Georgia, Luis Nararro, gave a guest lecture to students on the history of US foreign policy and the American political system. His eyes rolled when one of the other lecturers mentioned Sam Patten, and what the NDI and the Republican Institute really do in Georgia – the false opinion polls before the elections, democratic development which is designed to deny people their own choices, etcetera. But now he is safe inside the tent of the Mueller investigation. Rather than facing justice, as his “co-operation” should imply, he will be forgiven everything as long as he can be used against Trump. If Trump faces the justice written in the law books a lot of others will too. A great many Deep State actors have unashamedly conducted illegal activities in other countries as well as at home. The hideous abuses conducted by CIA-supported South American dictators are well documented, as are the drugs and weapon smuggling programmes which sustain the likes of ISIS. In many parts of the world the locals have been given the impression that anything is legal for as long as the US does it, and thousands of individual US operatives, who did the deeds and gave the orders, would face their own justice if there wasn’t a Deep State behind them. Trump has to go to save others whose rap sheets are just as long but have been acquired differently. Patten is one of those, so is Robert Mueller. Removing Trump will do nothing to clean up the US, but everything to keep power in the hands of unelected people who will violate as many laws as Trump does. Maybe Trump really did intend to “drain the swamp,” and get the US out of its expensive foreign wars, despite having done everything to the contrary since he took office. But if the Deep State can remove him, as it is alleged to have removed the Kennedys, all the countries affected by US criminality will be expected to pay even bigger dues for their “protection”, and the US public still won’t care. All that matters is that it happens far away, and that those that are giving the orders are lauded as heroes, and have restored justice—American style.